Now, this is a comic book that I loved–so much so that my home had two copies of this Treasury Edition (one was bought for my brother at some point after I had gotten mine.) 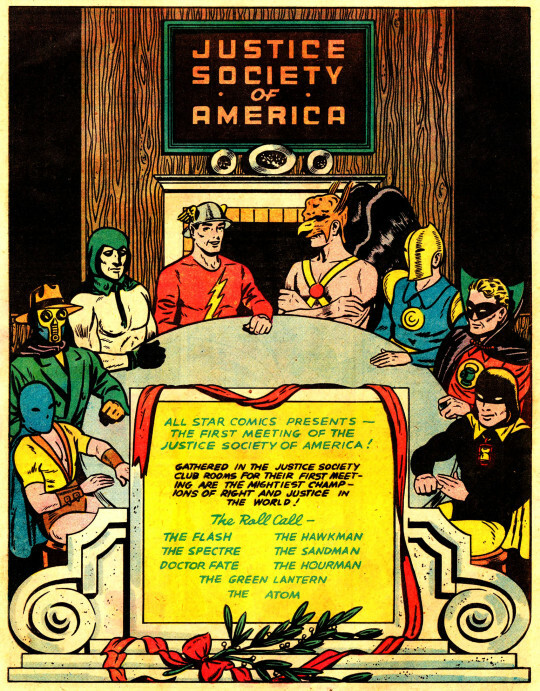 ALL-STAR COMICS #3, the first meeting of the Justice Society of America. I love this book so much that I paid what can only be called an ungodly amount of money for a coverless copy of the original a few years ago–an event that brought my back issue buying to an end, as there were really no more worlds to conquer. And even in this case, it was something of an afterthought. 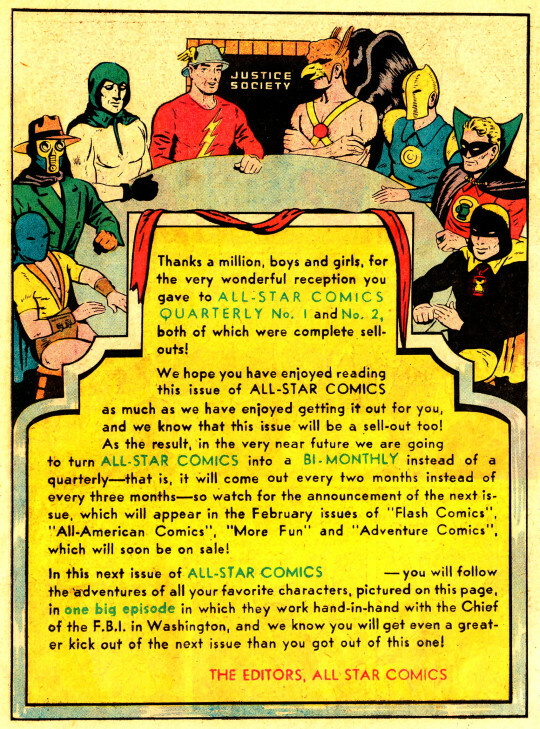 Somebody–editor Shelly Mayer, perhaps–came up with the idea of the Justice Society well after this issue of ALL-STAR was being put together. So a story was dropped and some others were truncated to make space for a framing sequence that put the otherwise-unrelated adventures into context as stories being told at dinner by the members of the new organization to one another. 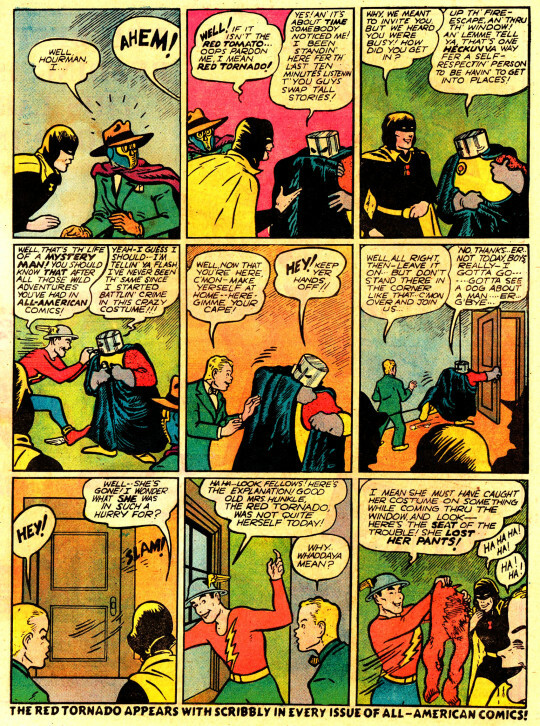 The issue opens with hapless Johnny Thunder lamenting the fact that he wasn’t invited to the Justice Society meeting–this despite the fact that in a scant few panels we’re told that the meeting is a secret. Regardless, he accidentally says his magic words Say You, and suddenly he is propelled by his mystic Thunderbolt to the clandestine gathering of super-champions. 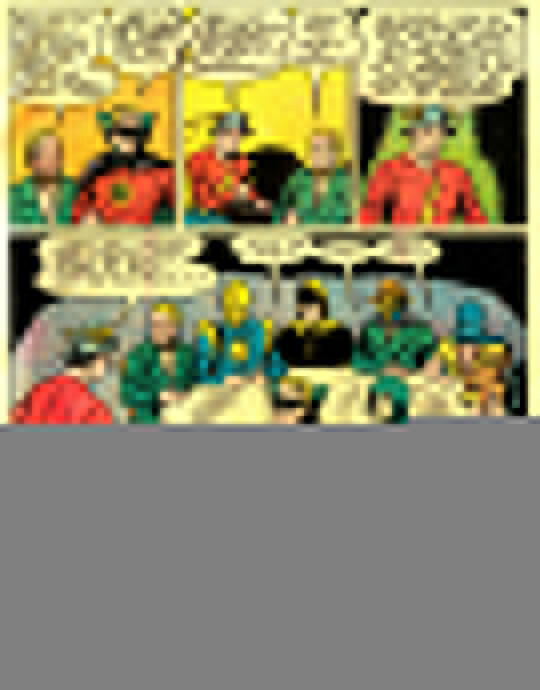 After a few mishaps in which Johnny accidentally transforms the JSA members and erases their banquet feast, the crew sits down to dig in. In order to earn his place, Johnny proposes an idea: each member will regale their fellows with the story of a recent noteworthy adventure, thereby providing the entertainment for the evening. 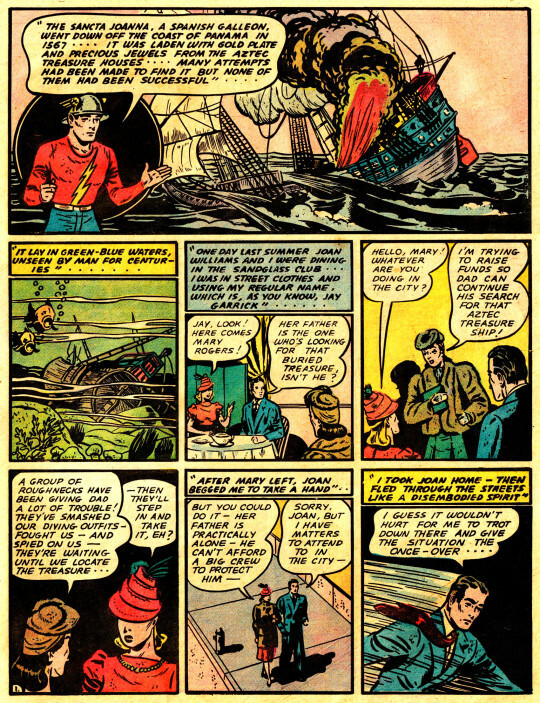 The stories begin with a rather sedate exploit from the Flash, in which he locates a missing treasure sunk at sea. 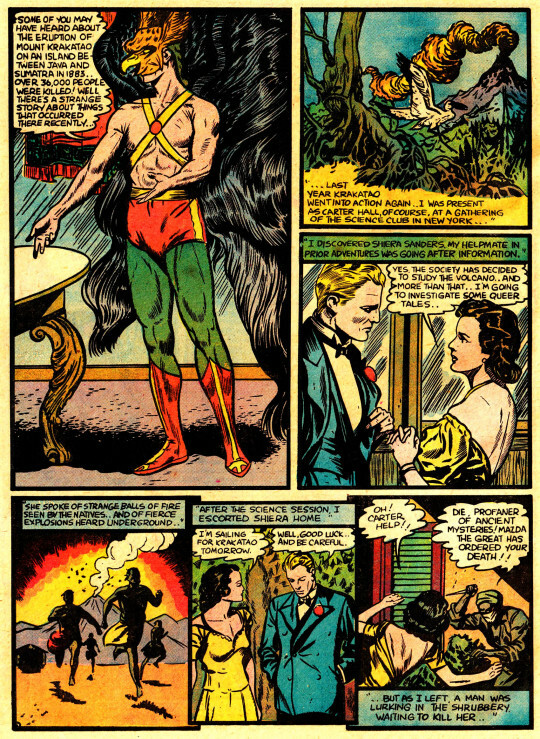 The Hawkman ups the ante by telling of his conflict with a tribe of racist cannibals who lived inside an active volcano, immune to its heat. The undead Spectre goes one better, by telling of his conflict with the eternal monster Oom, a battle which raged across the cosmos. 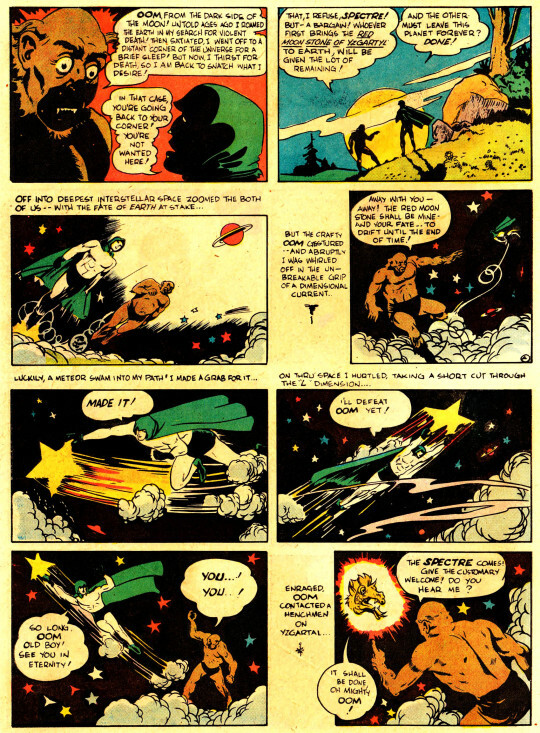 The Spectre always was a bit of a boaster. 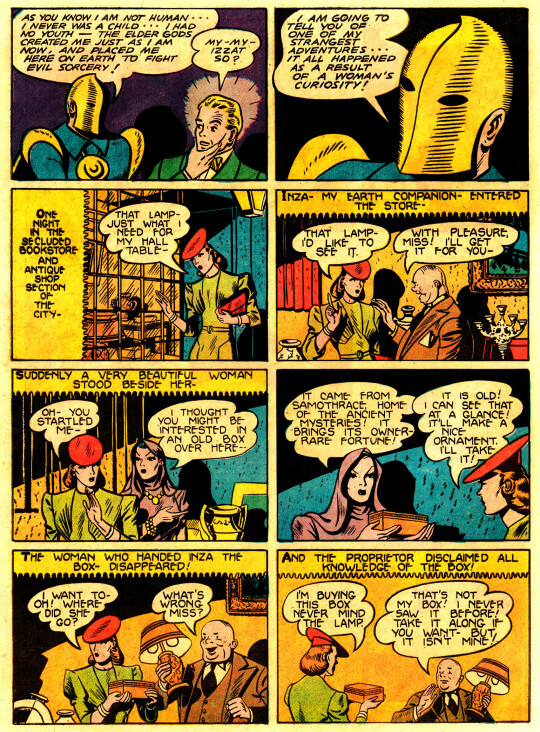 This transitions into a mundane outing for Hourman in which he is bedeviled by a crew of impostors. Given adventures of this sort, it’s no wonder that he lost his Society seat to Starman not long after this. 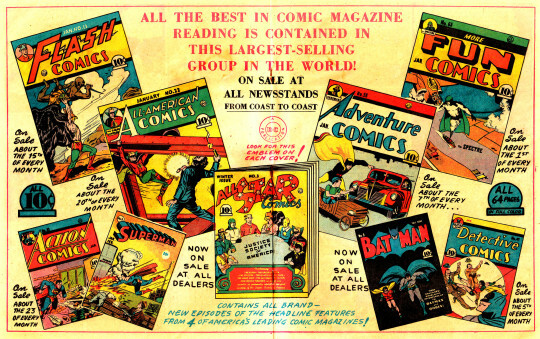 The center spread of the book boasted an awesome ad for all of the individual anthology comics that the Justice Society members starred in. Thirty-Five years later and this ad still worked–I wanted to read all of these books desperately as a kid. Meanwhile, back at the banquet, the Sandman tells a story about contending with a rogue scientist who is using injections to turn men into fifteen-foot monsters. 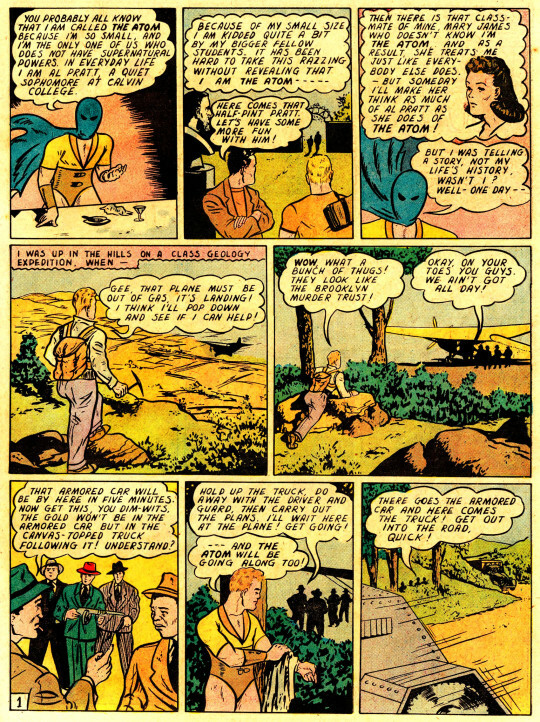 This was super hero 101 back in 1940. The art here is especially impressionistic and imprecise, in a way that I didn’t fancy as a kid but that hold some appeal for me today. 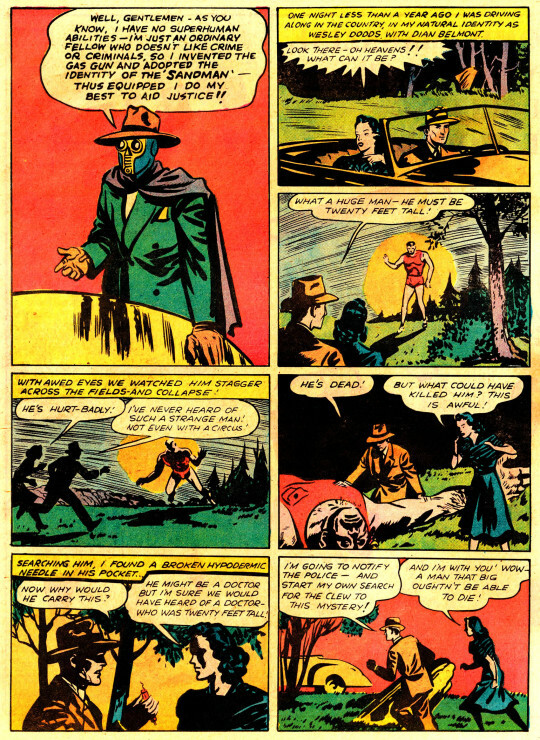 It’s Johnny Thunder’s turn next, but his story is relayed in the form of one of those two-page text features that comic book publishers were required to carry in order to qualify for second-class postal mailing. 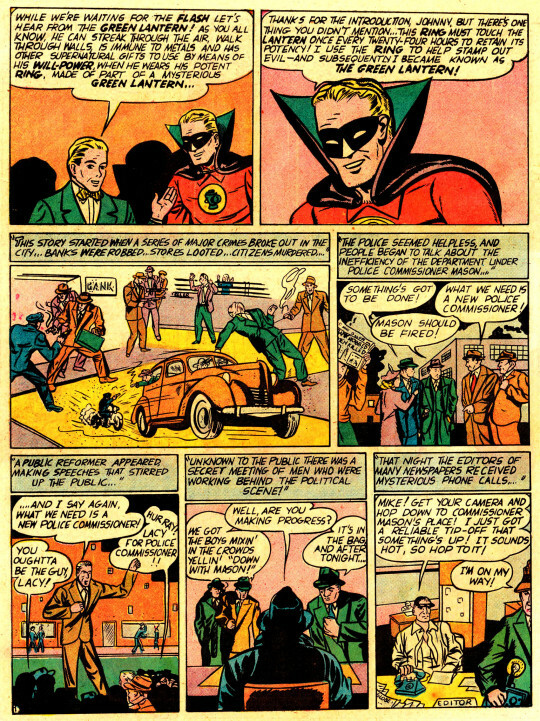 Then, after a plug for Hop Harrigan’s Flying Club, the Atom gives an accounting of a battle with a bunch of gold thieves. But before the final speaker can relate his story, the meeting is interrupted by a messenger, who brings word from the FBI chief that he’d like to speak with a representative of the Justice Society. 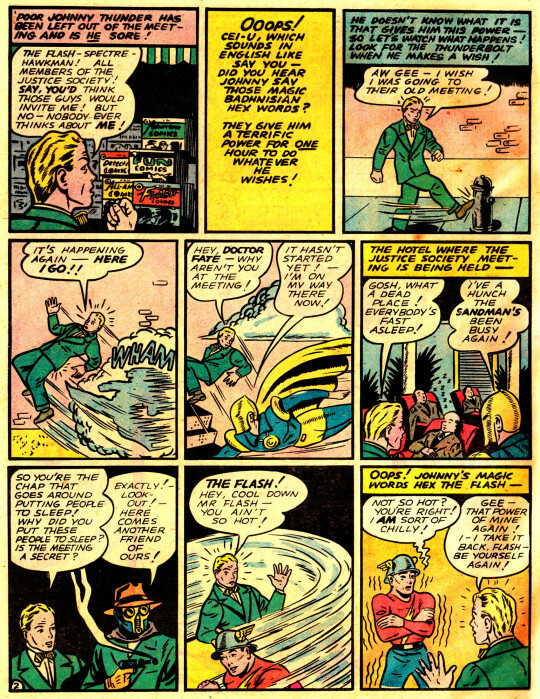 The Flash dashes off to take the meeting, as he can be back before his fellow heroes go their separate ways. While he does so, Green Lantern talks about having mopped up a criminal crew with ties to the government in his (unnamed) home city. Before the evening breaks up, the Flash returns from Washington. He tells the heroes that the FBI chief wants to meet with them all next Tuesday night–which means that his mad scramble to Washington was a bit of a wasted trip. Wondering what dire trouble this could portend, the heroes begin to go their separate ways–their meeting with the FBI chief will be detailed in the next issue. It would be decades before I’d be able to read about that meeting, so it retained its mystery and intrigue to me. All told, this isn’t all that great of a story, its patchwork nature is readily apparent. But there’s something so primal and so appealing about the concept of all of these characters hanging out and interacting with one another that it overcomes those deficits. The next issue blurb even promised that in the following issue, they’d all be working together in a single big story together! What could be better than that?